Music had played a very significant role in translating Indian thoughts throughout thousands of years. Right from the time of maharajas and nawabs it used to be presented in their courtrooms either by ustads or by the ruler himself. There was music inherently existing at every place, every part of society, every geographical location irrespective of being sung by sants or bairagis or fakirs or majhimollas. Indian cinema in the last century had based its feet on the strong story base of such characters. Now one of the main reason of reaching the stories to millions of people in our country and abroad was the everlasting music produced during 1940s, 50s, 60s.Mohammad rafi is a name which has galvanized the musical history of the golden era of Indian cinema. Now being very popular icon of the 50s, 60s and the 70s a lot had been said about the man with the golden voice in all the leading electronic media including, newspaper, journals, television and radio. What has not being said is the everlasting treasure of rich lyrics, compositions, tunes, orchestrations that had been left by the great legend for millions of his lovers to cherish for decades and decades. 1950s and 60s can be described as an era of classical prose, poetry, shayeris. Although the subject matter of Indian cinema ranged from Historical classics like “ Tajmahal”, “ Mughal-I –Azam” to classic literature like”Devdas”(written by Sarat Chandra Chatterjee) “ Kabuliwala” (written by Rabindranath Tagore) to Suspense Thrillers like “ Woh kaun thi” “ Mera saya”. The list can go on. But what were common to all those films were the pains, devotion and imagination with which lyricists and music composers composed the songs. And of course the expression, andaz, style and perfection Mohammad Rafi had presented which is a rich asset for future generations. If the compositions of the legendary music directors are analysed it can be said that each of them had their own foundation “ in musical terms we call it gharana”.It was a rich combination of ghazals, qawallis, Hindustani classical,mujras, thumris, kajris, bhajans, folksongs( like bhatiyali, bayul) , light songs, rock and roll, western..The composers included Shanker Jaikishan, Naushad, Roshan, Madanmohan, SD Burman, Gulam Mohammad, Wasant Desai, Khemchand Prakash, Salil Chowdhury, OP Nayyar, C.Ramchandran, Anil Biswas, Khayyam, Jaidev,Iqbal Qureshi, Ravi, Dattaram,S.N. Tripathi and others. Typically in those days musical sequences used to be created on the basis of the situation the story required, and both the lyricist and the composer used to create music which suited such sequence. 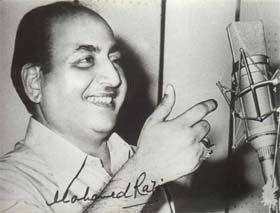 Mohammad Rafi had the record of transforming the creation into history. If we look at the film “ Tajmahal” ,released in 1963, after the demise of mumtaz mahal , Shahjahan was associated with the lyrics” hum ate rahen hai, hum ate rahenge, muhabbat ki rasme nibhate rahenge, jan-e-wafa tum do sada fir kya thikana humko ana parega.” The lyrics was written by Sahir Ludhianvi and music composed by Roshan in Rag- Pahari..Rafi had transformed his passion with the badshahi andaz of Shahjahan that existed at that time.The song had not lost its immortal value even today. Similarly in the film “ Bahubegum” , released in 1967, Meenakumari had waited for Pradipkumar a long time and was almost deciding to marry Ashokekumar when came the classic song “hum intezar karenge, tera qayamat tak,khuda Karen ki qayamat ho aur tu aye”.The song had such an everlasting impact that people forgot to pay homage to the serious performance of Ashokekumar who burnt himself in that film. There are songs where Rafi had made people intoxicated. 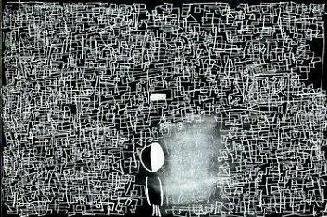 There are other songs where he had awakened the audience. One of the example is in the Film “ Bheegi Raat” .At the frag end of the film, the song “Dil Jo na kah saka wohi raz-e dil, kaheneki raat ayee.” It was picturised on Pradeepkumar in 1965 and song composed by Roshan in raag kalyan. In the film “Zahanara” Rafi’s immortal song “ Baad muddat ke yeh ghari ayee, ap aye to zindagi ayee, isq marmar ke kamyab hua , aaj ek zarra aaftab hua” and “ kisiki yaad me aapnako hai bhulaye hue” had brought poetic passion in numerous Indians. People could not understand what to appreciate, Rafi’s poetic passion , or Bharatbhusan’s natural performance or the strong lyrics or Madanmohan’s composition. In the film “ Mirza Ghalib” Rafi had brought life into few quality ghazals composed by Ghalib himself where tunes were given by Ghulam Mohammad. In the film “ Mere mehboob” released in 1963, the title song “ Mere mehboob tujhe meri muhhobat ki kasam , phir teri nargisi aankhoka sahara deden, mera khoyahua rangeen nazara deden” had brought the cultured pardanashin community of Aligarh to Cinemahall. Rafi’s sweetness and bass had overpowered the majestic screenpresence of Jubilikumar “ Rajenderkumar” , classic creation of Naushad and rich lyrics of Shakeel Badayani.The pandemonium hall of Aligarh University was opened for the classic song. In Gurudutt’s Pyasa released in 1957, the climax of the film came into being when Gurudutt did not accept the recognition given to him by brothers in open hall.The famous song “ yeh mahalon , yeh takhton , yeh tajon ki duniya “ had created unrest in the cinema halls. Rafi’s voice had helped in social awakening. The song was composed by SD Burman. The same Rafi had mesmerized the listeners with his romantic mood in the film “Chawdavi ka chand” acted by Gurudutt , released in 1960,with the title song, “Chawdavikachandho, yah aaftab ho, jobhi ho tum khudakikasam lajawab ho”. The music was composed by Ravi. Rafi’s tragic andaz in the film Kagaz ka phool , released in 1959 had brought tears in the eyes of the audience with “ are dekhi zamane ki yaari, bichre sabhi, bari, bari.” The sensitive words were put in by Sahir Ludhiyanvi. In most of the tragic situations Rafi had felt the pathos in himself while analyzing what the situation demanded. His song “koi sagar dil ko bahalata nahin” in the film “Dil diya dard liya” composed in raag kalawati had transformed intoxication into tragedy. It was released in 1966.In the film “ aadmi”, released in 1967, his song “ aaj purani raahon par koi mujhe awaz na den, dard me dube geet na den , gham ka sisakta saz naden” had made people think who was a better tragedian, Dilipkumar or Rafi himself. Both the lyrics were written by Shakeel Badayani and music composed by Naushad. In the film “ Kohinoor” released in 1960, Rafi had presented a pure classical andaz in the song “ Madhubanme radhika nacchere, giridharki muraliya bajere”.It was composed by Naushad in raag hamir and was picturised on Dilipkumar.In the same film there was totally different melody in the song “ Do sitaronka zammen par hai Milan aaj ki raat”.The words of Shakeel Badayani had been given adequate expression by Rafi.Aushad had given some serious compositions to Rafi like “ Ek shahanshah ne banwake hasin tajmahal sari duniyako muhabbatka nishani di hai.”It was composed in raag lalit in 1964 in the film “Leader” acted by Dilipkumar. In the film “Meri surat teri aankhe” acted by Ashoke kumar , SD Burman had given Rafi one of the tragic raag Pilu, the song was“ Tere bin sune nayan hamare”. It was composed on the same lines as “ ami chinu eka basoro jagaye” in Bengali, sung by SD Burman himself. Other notable creations of SD Burman were “Aise to na dekho” in raag Gara in the film “ Teen Deviya” , “ hum bekhudime tumko pukare chaalegaye” in “Kalapani”, 1960 and “Din dhal jaye” in Guide, 1965 *. In the film “ Lal patthar”(1971), Shankar jaikishan had composed for Rafi “ unke khayal aye to ate chaale gaye”in raag gara. There the nostalgic mood of badshah was presented by Rafi.Other quality creations of Shankar Jaikishan included “ Aji ruth kar ab kahan jaiyega” in raag desh in Aarzoo(1966) starring Rajenderkumar, “ Khudabhi asma se jab zamin par dekhta hoga” in the film ‘Dharti,” “ mujhko apne gale lagalo ai mere humrahi”( Humrahi, 1962) “surahidar gardan koel sihi awaz”in the film “ Aman”. The lyrics were written by Hasrat Jaipuri. In creations of OP Nayyar, Rafi had mixed the eastern passion with western flavour. So in the song “Zulfke chayon me chehreka ujala lekar” in “Phir wahi dil laya hoon”(1963) written by Majrooh sultanpuri or “ Mujhe dekhkar aapka muskurana” in “ Ek musafir ek hasina” (1962) picturised on Joy Mukherjee , or “ Tukre hai mere dilke ai jan tera aansoo” in “Mere Sanam” (1965) picturised on Biswajeet, we find the voice floating with western air to suit the compositions. Besides Rafi ‘s voice had been used in “Kabhi khudpe kabhi halatpe rona aya” (Humdono, 1961) by Jaidev, “Parabatoke Pedo par shamka basera hai’by Khayyam, “ ek sawal tum karon, ek sawal hum Karen” (Goonj uthi sahnai, 1959) by Wasant Desai.There were other composers also in those decade who had given their best creations to Mohammad Rafi. It is difficult to compile major songs of the legend who did sing around 25000 songs in a span of 35 years. But the songs are expected to be preserved for future generations as rich historical remains because the alfaz (words) and sur ( musical composition) were created not mechanically, but with the deepest thoughts from the core of the heart. Tragedy King Dilipkumar had rightly said that “jaise indradhanush ke andar saat rang kaid hai, usi tarah rafi ki awaz ki ehmiat tafteez karne ke liye mere pass alfaaz nahin hai”, Meaning the way the seven colours (vibgyor), are immersed in a rainbow, in the same way it is not possible to express the significance of Rafi’s golden voice in words. An Archive on Mohamad Rafi’s works should be established where the creations of musical giants can be preserved. Furthermore the future generations can get inspiration for rich creation in future. Very interesting article. I enjoyed it! Keep up the good work! Bhupinder Singh so he was given a tool so that they can reach out to the same microphone. The music was composed by Madanmohan. Bhupinder Singh being a great singer himself had such admiration for Rafi that he said his greatest reward was to share the microphone with Rafi. Because in the same song Manna Dey and Talat Mehmood shared the other microphone.It just tells us the respect that was enjoyed by Rafi from his cosingers at that time. most captivating article on rafi saheb i've so far read. 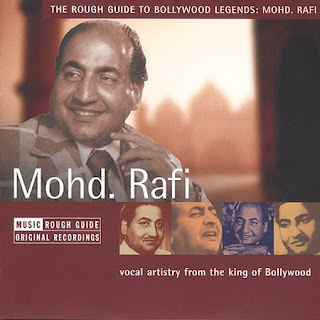 Very well written, its hard to find people like Mohd.Rafi and will never be able to recreate history, as his depth of knowledge and style and diverse musical talent can never be repeated.